Here you go guys. 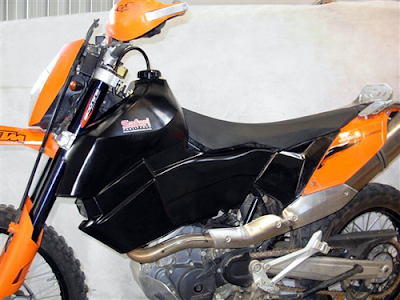 Here is a sneak peek at the new KTM 690 Enduro Oversized Gas Tank by Safari/Aqualine. It's on the way so keep an eye out for it on KTMTwins.com or you can email us at info@ktmtwins.com and we can contact you when they are available. this fairing and tank should be sold as pair.the tank helps support the fairing.The tank look better with graphics applied.